"...good for everyone liking the 'oldschool' way of language learning." For over forty years people have been using the Pimsleur learning system to learn foreign languages. This system which was developed by Dr. Paul Pimsleur during the 1960s contains innovative features that have since been incorporated into many other language learning courses. But is the Pimsleur approach still a good way to learn a new language? This review will seek to answer that question. As you will see below, while the Pimsleur approach has many strengths it also has some serious faults that buyers need to know about. Given the high price tag attached to Pimsleur courses these disadvantages should be given careful consideration before purchasing. How does the Pimsleur Approach work? Audio based - The Pimsleur system is entirely auditory based, which means that the student learns through listening and speaking. Paul Pimsleur called this organic learning because he considered it the natural way to learn a language. Challenge and response - One of the most innovative ideas of the Pimsleur system was the development of the challenge and response method of teaching. The student is required to quickly translate phrases into the language they are studying. This differs from many courses which simply require the student to repeat after the teacher. Spaced repetition - When a new word or phrase is introduced it will be tested at increasingly longer intervals. This has been shown to be a very effective means for installing new vocabulary. Core vocabulary - The Pimsleur system focuses on teaching a core vocabulary which in the case of most European languages is around 2000 words. 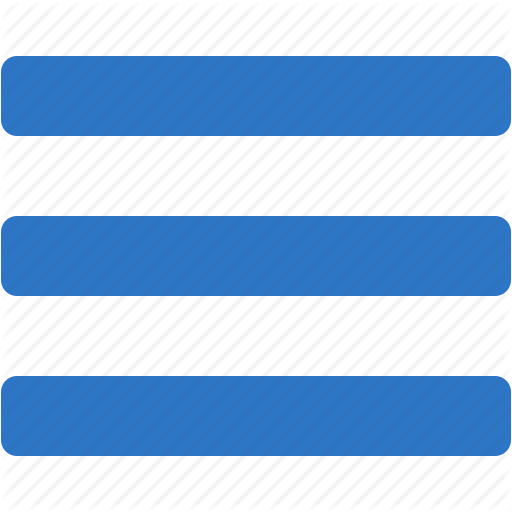 In general a single level of the Pimsleur system will typically have about 500 words; with many courses having four different levels. Grammar is not explicitly taught - With a Pimsleur course the grammar is never explicitly taught. Paul Pimsleur believed that the organic way to learn a language was the same as the way a child learns. A child does not need grammar lessons in order to understand the core structure of a language. Each language that you learn with the Pimsleur approach has different levels, from beginner through to advanced. There is also the option to purchase either the physical CD course or the downloadable MP3 version. Typically a single level of the Pimsleur approach will cost $345 for the physical CD version and $119.95 for the MP3 version. The material contained in the two courses is the same and so for most people purchasing the MP3 version will be preferable. Learn anywhere - For people who want to learn a language on their commute to work, while performing household chores, at the gym or out for a walk the Pimsleur approach is perfect. It is entirely audio based and so you don't need to be sitting in front of a computer or have a pen and notebook nearby. While you do need to produce the correct phrases, these can be said silently in your head and so you can still use the course in public. One thing to keep in mind is that in order for the Pimsleur approach to work you do need to be able to concentrate. Consequently if you are multi tasking the other activity must require very little mental focus. 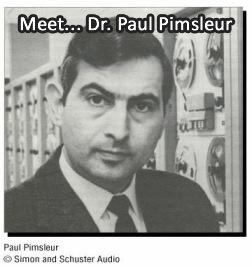 It does work - Pimsleur courses have been sold since the 1960's and over that time have earned many loyal fans. The fact is if you can stick with the Pimsleur approach it will work. The Pimsleur learning system forces you to produce the desired phrases and with its spaced repetition, provided that you are actually actively participating in the lessons you will learn the material. No longer as innovative - When the Pimsleur Approach was first developed it was in the 1960s the ideas were very innovative. However many, if not most, language courses now use at least some of the core components that are contained within the Pimsleur Approach. When you purchase a language course like Rocket or Fluenz you will still be benefiting from these core principles. It's over priced - Pimsleur courses are not cheap, especially compared to much of their competition. For example Mandarin Chinese is priced at $345 for the CD course per level, and there are three different levels you need to purchase. So to master Chinese using the Pimsleur language learning system you should expect to spend $1035. Many competing language learning courses include Audio based MP3s in addition to other features such as software, games, and video tutorials. It can become monotonous - The Pimsleur method is effective but it is also can become monotonous. Compared to many other multimedia courses the idea of simply listening and speaking can seem quite boring. A language course is only effective if you actually use it and so this is something to consider before purchasing the Pimsleur system. No adaptive learning - Many people who want to learn a new language will not be complete beginners. These days many software based courses begin with a test to assess your current level of ability and then suggest where you should begin. This can save a considerable amount of time and helps to ensure that you don't skip valuable information. With Pimsleur it is difficult to know where you should begin unless you are a complete beginner. No progress reporting - Software language learning courses typically include progress reporting features. This shows you how far you have gotten through the course and what you still need to work on. Having a sense of progress can be encouraging and keep you motivated to complete the course. Lack of social features - Many modern language learning courses now include social elements into their learning approach. For example Rocket language learning courses have a leader board where you can compare your progress with other learners. Fluenz language courses have message boards and the creators are active on social media. The Pimsleur courses fail to provide this social atmosphere which makes them seem out of date, which is problematic considering the expensive price. Easy to become distracted - One of the problems with a completely audio based approach like Pimsleur is that it is easy to become distracted. In order for the for the course to be effective you must be producing the phrases when required. If you fail to pay attention for a moment you won't know what to say in the spaces given. While video tutorials do not allow you to multi task, because they require all of your focus it is harder to become distracted. If you are looking for a well tested, audio based learning system then Pimsleur course's are a good option. However in my opinion the language learning market has moved on since the courses were developed in the 1960's. Many of the features that once made Pimsleur so successful have now been incorporated into other learning systems such as Rocket languages (review), which is considerably less expensive. Given that many language courses now include video tutorials, social learning, games, quizzes and complete grammar lessons, the Pimsleur system often seems very overpriced. Overall Pimsleur is based on solid, language teaching principles but not the course I would recommend unless you are specifically looking to learn using this approach.